Open house Sun 3 / 18 from 1:30 to 4pm * Fantastic home tucked in interior Wildcat neighborhood! 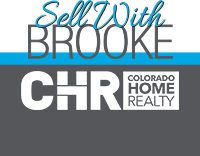 Backing to open space and can walk right to Rock Canyon High or Rocky Heights Middle Schools * One block from Highlands Ranch homes but have option to Pay HR HOA fees for Rec. Centers * Ready to move right in with renovated kitchen counters and floors * New Stainless appliances * Engineered hardwood floors * 4 bedrooms upstairs with one non-conforming missing closet * Both upstairs bathrooms are amazing and master bath has walk in shower and secondary bath is very spacious * You will feel like this home is clean and new as you enter * Easy and quick sale * Very attractive home in ever way and easy to show!